YouTube Now Offering 360-Degree Video Upload Support: YouTube is now offering support for 360-degree video uploads for content creators looking to provide a more immersive experience. Viewers can interact with these videos through YouTube’s Android app by moving their smartphone or tablet around to view different angles as a video plays. The upload process requires special technical instructions for now but YouTube hopes to simplify the upload process in the future. Tumblr replaces Reddit as New Front Page of the Internet: Tumblr has now become the go-to site for viral content over Reddit. Pricenomincs found that is the top source for Buzzfeed; LexisNexis found Tumblr references up by 75 percent. The site, popular with teens and college students, hosts 226 million blogs and receives visits from 460 million people each month. Facebook Introduces Topic Data: Facebook is releasing topic data, information on what audiences are saying about events; brands; subjects; etc., to a select set of marketers. The information is shared in a way that keeps personal information private but still allows marketers to make better decisions about promoting their products or services. Facebook plans to expand topic data’s availability at a future date. Twitter Updates Profiles for Android App: Twitter has updated profiles on its Android app for easier bio, photo, and tweet viewing. 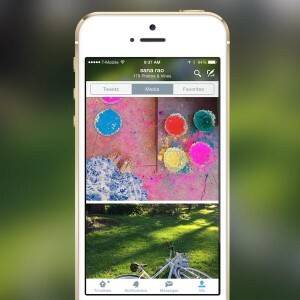 Twitter Increases Photo Size for iPhone App: Twitter increased photo sizes on its iPhone app to improve the profile browsing experience.